Utada Hikaru (宇多田ヒカル, Utada Hikaru born January 19, 1983), also known by her fan-nickname of Hikki (ヒッキー, Hikkī), is a Japanese American pop singer-songwriter, arranger and record producer. Her proper Japanese-language debut album, First Love, released in March 1999 when she had just turned 16, charted at #1 for an astonishing six non-consecutive weeks on the Oricon Albums chart, and went on to become the best-selling album of all time in Japan with over 7.65 million copies sold to date in Japan alone (10.056 million worldwide to date), cementing her status in the music industry in Japan. The release of her later works only help her reign as one of Japan's top artist, with three of her Japanese studio albums being rank in the Top 10 all-time best-selling albums in Japan ranking (#1, #4, #8), making her one of the most indefinitely successful and popular singers in J-pop history. She has had 12 #1 hits to date on the Oricon Singles chart, with a record five of them being million-sellers and four placing in the Top 100 List of Japan's All-Time Best-selling Singles (the former record for a female solo or group artist she has tied with Namie Amuro, Ayumi Hamasaki, and Pink Lady). In addition, Hikaru has won the Nihon Golden Disk "Song of the Year" award for fourteen of her singles since 2000 and has won the Golden Disc "Pop/Rock Album of the Year" award for all four of her Japanese studio albums. 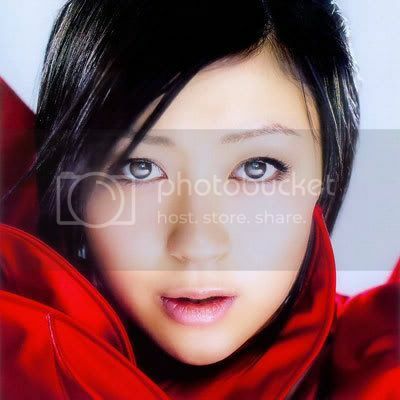 In 2003 Utada Hikaru was ranked the #24 Japanese pop artist in its survey of "Top 100 Japanese Pop Artists of All Time" by HMV, and #10 in HMV's "Top 30 Best Japanese Singers of All Time" in 2006. In 2007, her single "Flavor of Life" reached #2 in worldwide digital download single sales with over 7.2 million downloads (the only non-American artist to hold such a distinction), and she sold a total of 12 million digital ringtones and songs in that same year, making her the first artist ever to have this many digital sales in a year's time. In addition to being a singer, Hikaru is also known for doing almost all of her music, lyrics, and arrangement herself. and I'm going to have her babies? ...somehow. I love the way her image has progressed over the years. & Does anyone know if theres an estimated date when her english album will be completed? Edited by --e n k y o r i*, 17 August 2008 - 01:02 AM. I absolutely LOVE Utada Hikaru! My guess is probably early 2009. If theres any artist that deserves fame overseas, its her. Edited by --e n k y o r i*, 17 August 2008 - 01:54 AM. Definitely. Well, I'm sure a lot of people in Singapore know the song "First Love", but few actually know the singer! Hey, did anyone notice that judging from her recent blog photos, she seems to have lost quite a bit of weight? Though, she can pull off weight well, too. I think she's the most well known J-pop artist in the US, though. hmm... judging here in the Philippines, Hikki is known because of First Love too.... i'll say EVERY gal know it! Ya know unlike most people i loved the Exodus album and alot of my friends did also just not the song Easy Breezy the rest were kickass and different. Im hopin Utada sticks with the style for the second album. I love Hikki! She's my favorite artist. I look forward to her next English album, whenever it comes out. I liked Exodus. I don't really know of any others who like her. I like reading her blog entries--they can be so funny! I am looking forward to her new English album. Exodus was pretty interesting, with "Devil Inside" and all. It seems like she'll be having her short hairstyle for the album though. Heck, it even looks like her figure from the Distance days are back (judging from recent photos, that is). I wonder if she'll continue her ethereal pop sound or back to her R&B basics for the English album. I don't really think most songs in Exodus had dirty lyrics in them. :| Maybe just Tippy Toe and Let Me Give You My Love (HAHAHAHA LOLZ CAN YOU AND I START MIXING GENE POOLS D8) but other than that, the lyrics ranged from okay to ZOMGSLKJDFLKSJIJ!! !